If you’re looking for dealbreakers this season, you’ll find them in the 64-pages long Kohl’s 2018 Black Friday ad. You’ll have five days to shop for your favorite deals, beginning on Monday, November 19 with sale available through Black Friday. The real dealbreakers, however, will not be available until Thanksgiving Day starting 5 p.m. when Kohl’s will open doors for shoppers who want to visit in-store, or you can shop earlier online from 12:01 a.m. The following are doorbuster deals that really pack a punch in this year Kohl’s Black Friday ad. 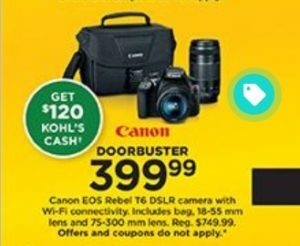 Scroll further down for info about extra Kohl’s perks and Kohl’s 2018 Black Friday coupon offers for what you want and need. You can get this Xbox at $399.99 plus receive $120 Kohl’s Cash, which is a great offer considering that last year the Xbox One X not only was not discounted at big retailers but was not at all available to shop at Kohl’s. This year you can get it at a great $100 discount and receive a free download of Playerunknown’s Battlegrounds along with the $120 Kohl’s Cash. Microsoft Xbox One S 1TB Minecraft Creators Console Bundle for $199.99 (plus $60 Kohl’s Cash). While few people if any would actually pay the original retail price of $319.99 for this spinner bag, many would spend a decent $94.99 amount for it and the investment would be 100% worth it. 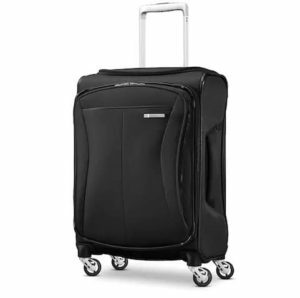 Even better is you can apply Kohl’s Coupon offer of 15% off and get the Samsonite Eco-Flex carry on at $80.74 only. 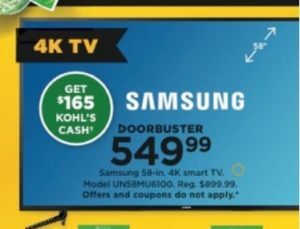 This is one of 2018 Black Friday most highlighted deals and it includes a $350 discount (regular price $899.99) plus $165 Kohl’s Cash. Another great television deal to be had includes the LG 49-inch 4K Smart TV for $329.99 plus $90 Kohl’s Cash. Dyson is one of the most popular high end vacuum brands and they’re always on the Black Friday list of discounts at many retailers, including Kohl’s this year. Originally $499.99, the Dyson Ball Animal 2 is available at Kohl’s for $299.99 with a nice $90 Kohl’s Cash bonus, yours for the taking if you’re so inclined. 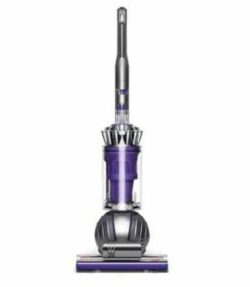 Two other models at a discount are the V8 Absolute Stick Vacuum for $379.99 plus $105 in Kohl’s Cash and the Dyson Cyclone V10 Animal for $499.99 plus $150 in Kohl’s Cash. This Cannon is down from $749.99 and it includes $120 Kohl’s Cash as one of the best Black Friday deals for Canon cameras this year. Check out Kohl’s Black Friday ad for more gadget and tech deals that include Amazon Echo, Fitbit smartwatch, Garmin Drive GPS Navigator, Beats Wireless Headphones, JBL Bluetooth Speaker, Google Home Mini Smart Speaker and other great items. Note that Kohl’s will offer $15 in Kohl’s Cash throughout the sale period for every $50 you spend and you’ll be able to redeem cash anytime between November 24 through December 5. Kohl’s is also offering an extra 15% off your entire purchase in the form of coupon offer and promo code CHEERFUL online. This is available November 19 through November 23.